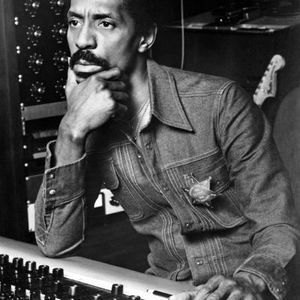 Ike Wister Turner (November 5, 1931 - December 12, 2007) was an American guitarist, pianist, bandleader, talent scout, and record producer. Considered to be one of the fathers of rock and roll, his first recording, "Rocket 88" (incorrectly credited to "Jackie Brenston and His Delta Cats") in 1951, is considered by some to be the "first rock and roll song" ever. Turner is probably best known for his work with his ex-wife, Tina Turner as one half of the Ike & Tina Turner revue. In a career that lasted half a century, Ike's repertoire included blues, soul, rock, and funk. He was inducted to the Rock and Roll Hall of Fame in 1991 (with Tina). Turner won two Grammy Awards. Turner died on December 12, 2007 at 76 years of age at his home in San Marcos, California, near San Diego. Little Richard was asked by the family to speak at the funeral. The San Diego County Medical Examiner's Office reported that Turner died from a cocaine overdose complicated by "[...] other significant conditions, such as hypertensive cardiovascular disease and pulmonary emphysema."